The second of a series on kinetics and reactor design explores liquid phase reactors. When we combine a kinetic rate expression with a material balance, we have the most simple chemical reactor design. In this workshop, we’ll develop the design equations for the three reactor types that are important in industry: batch, continuous mixed flow, and plug flow. All ChemEs should be familiar with these basic design tasks. We’ll look at them from two angles. First, as on the PE exam in chemE, we’ll look at the already-solved designs laid out in Perry’s and in Levenspiel’s pre-computer-era reaction engineering text. Second, we’ll write material and energy balances and solve these. Impossible in Levenspiel’s time, this is easy today on any computer and allows us to model any reactor system. This workshop will use active learning, listening for a bit and then applying what was heard. 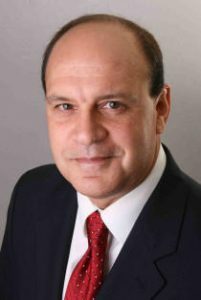 Richard Skeirik holds degrees in biochemistry, chemical engineering and psychology. Wearing one hat, he is a process engineer specializing in dynamics, simulation and advanced control of chemical, polymer, and refining processes; inventor of 17 US patents in that field; and a patent litigation consultant/expert witness. Wearing another hat, he is an expert in personality disorders and author and publisher of seven books in that field. He has worked for DuPont Engineering in process R&D; manufacturing support; artificial intelligence; manufacturing software IT; advanced process control consulting; and patent prosecution and licensing. He has worked independently as patent infringement litigation consultant; and runs an e-commerce enterprise. He is a registered PE in Delaware and earnestly seeks employment in chemical engineering. Please register no later than Monday, October 8, 2018 at 5:00 PM. Cancellation requests received by the registration deadline will be fully refunded.